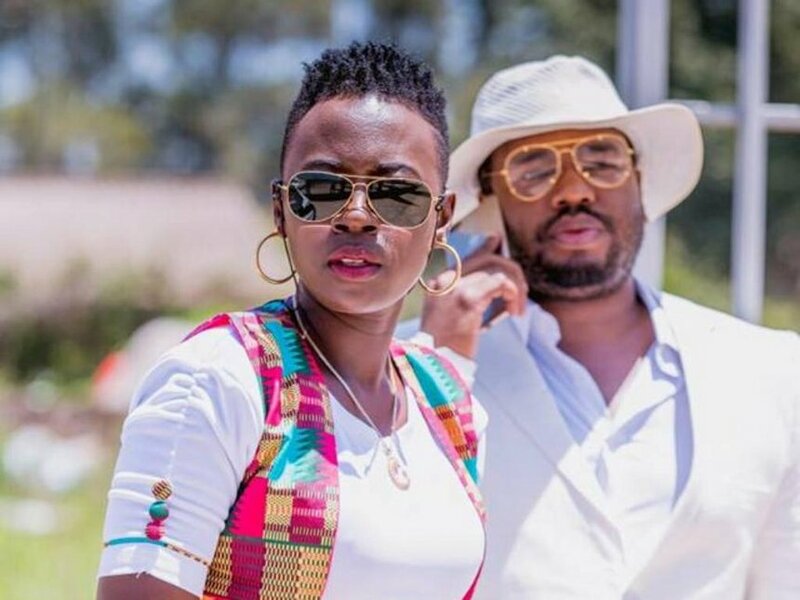 Akothee’s manager, Nelly Oaks who also doubles up as her boyfriend has warned presenters who are thirsting after his girlfriend, to be wary as he is also in line. This warning comes after Dr Ofweneke went on one knee to propose to the Lotto crooner on his Thursday Night Live show. Nelly warned other presenters who are thinking of proposing to his girl that he would start accepting interviews on phone since there are too many eyes on Madam Boss. He went ahead to warn the comedian that Akothee is his and he will not be organizing interviews so they can go ‘thirst’ after her. He warned him not to take his patience for granted. This should never happen again , I will have to hold most of your interviews on phone , too many eyes ??? hey @drofweneke that girl is mine okey , ? I will not take care of you for presenters to come and take meat out of my mouth ,?? don’t take my patience for granted , I am also on the line ? ?